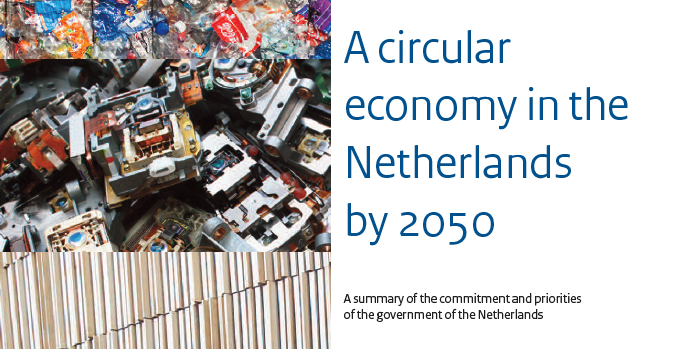 Catch up with the developments of the Dutch government policies on circular economy with this summary of commitment and priorities (July 2018). The document includes a foreword by Stientje van Veldhoven, State Secretary for Infrastructure and Water Management. The Dutch government has set up ambitious transition programmes for five major raw material chains: food and biomass; plastics; manufacturing; construction; and consumer goods. The government is now responding to the vast array of creative ideas and concrete proposals generated by initiating a raft of incentives and actions. Together this represents a promising step towards a fully circular economy by 2050. Read all about it in this summary.